X-rays enable medical professionals to get highly sophisticated images of tissues, bones, muscles and other insights into the human body (Source). While x-rays are not a risky procedure, prolonged exposure to x-rays is associated with the development of certain forms of cancer. 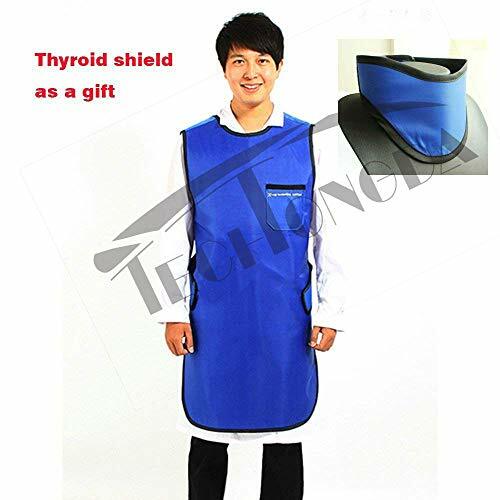 Therefore, It's important to purchase a quality lead x-ray apron for both patients and healthcare personnel to mitigate their exposure to x-rays. Generally X-ray aprons come in a 100% lead style, a lead composite style that is a mixture of lead and more light-weight metals making them around 25% lighter, and non-lead aprons which are considered the most environmentally friendly (Source). When Should You Replace An X-ray apron? It's important to keep in mind that no amount of X-ray radiation is safe- so you really can't skimp when purchasing an x-ray apron if you prioritize the health and safety of your medical staff. 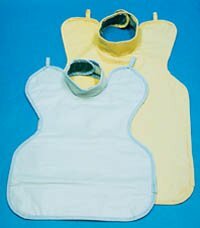 Many of the lead aprons are designed to balance weight and prevent fatigue by supporting an individuals' mobility. 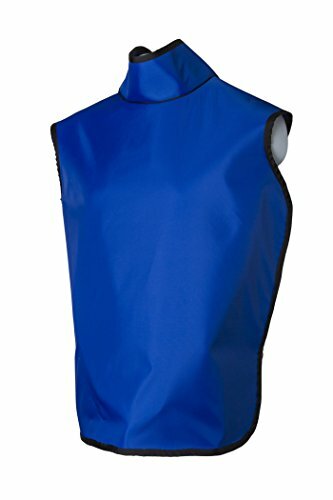 There are a variety of quality X-ray aprons on the market today including standard lead aprons, deluxe and economy white aprons, semi guard lead aprons, vest and skirt X-ray aprons that are designed for pregnant women, liquid-proof aprons, X-ray aprons that fit together using belts and even Velcro. 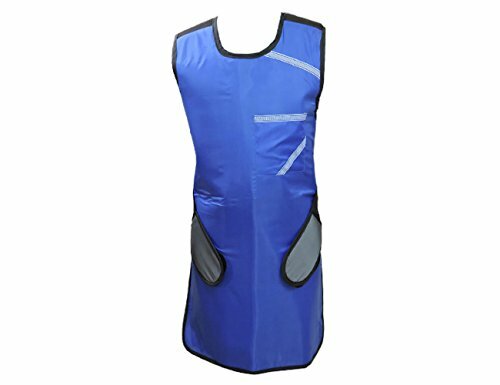 Since uncomfortable X-ray aprons can be a significant burden when performing your medical duties, it's important to pick one that balances protection and comfort with a little bit of style. 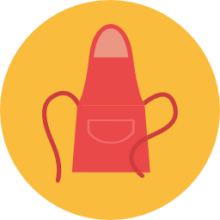 It's likely that you and your patients will appreciate the benefits of a quality designed x-ray apron. X-ray technology was invented in 1895 by a physicist named Wilhelm Roentgen. X-ray technology was actually discovered accidentally when Wilhelm was fiddling around with gas discharge tubes and electric beams. As a scientific discovery, it is one of the most remarkable medical innovations that has ever occurred in human history. The reason why it is so important is that it allows medical professionals to see transparently through the human body. This lets doctors investigate things like cavities, bone fractures and other maladies with incredible simplicity. X-rays are essentially visible light rays. The primary distinction between visible light rays and x-rays is actually the individual photons' energy levels. This is articulated by the rays' wavelength. What is an X-ray machine, really? An X-ray machine is essentially an electrode pair consisting of an anode and the cathode that resides within a glass vacuum tube. This cathode is something on the order of a fluorescent lamp, which is to say a heated filament. The machine will transmit current via this filament, which will significantly heat up. This heat will then connect with the electrons from the filament surface. Then a tungsten anode will attract the electrons over and across the tube. The difference in voltage between the anode and cathode is so high that the electrons will explode across the tube with an amazing amount of propulsion. X-ray machines have cameras installed to capture the pattern of light passing through the patient's body. Medical professionals, of course wearing their X-ray aprons, document this and keep this film image, sometimes adjusting the focus by fiddling with the X-ray beams intensity. Quality safety equipment complements other workplace protections designed to keep employees as safe as possible at all times. While many work areas require things like hardhats or steel toe boots, medical clinics that work with X-ray machines require a different sort of protective wear. Training is an essential component of a safe workforce- your employees and other users should be completely familiar with how to properly use the safety equipment, which will also include how to fit and remove them. Safety equipment training, while a pretty common sense thing to do, is often legally required. Selecting the best and most appropriate safety equipment requires a great deal of commonsense research. Make sure you understand your legal obligations and the needs of your employees that will be working in the x-ray apron. Personal protective equipment, as safety equipment is often known, will help protect you mitigate significant safety risks while at work. If you're looking to purchase a quality safety apron for conducting X-rays, check out our comparison table above. Make sure you do your homework understand which option is best for you before making a purchase. 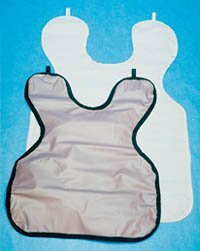 A quality X-ray apron will fit the needs and requirements of their where, and also help maintain a workplace that is up to the legal standards of employee safety and protection.